The 28 October 2017, sees the return of hugely successful The Poppy Rocks Ball raising money for The Royal British Legion for the fifth year. The Poppy Rocks Ball is a fundraising and awareness dinner, dance and auction for 330 people at the prestigious HAC. The role of The Poppy Rocks Ball is to educate young people about The Royal British Legion, its beneficiaries, grants and support system and importantly how a younger generation can get involved with supporting the charity. The Poppy Rocks Ball is taking place on Saturday 28 October 2017. This date was chosen because of its proximity to the Poppy Appeal when we remember those who have given their lives in all conflicts since World War I. This year, we will onjce again have another outstanding speaker, the super flattering Foto Noir, Almost Unheard getting us up and dancing as well as DJ Karlton taking us in to the wee small hours! In 2016 The Poppy Rocks Ball raised £21,719 (£92,618 to date) for The Royal British Legion and in 2017 we are aiming to go bigger and better! The Royal British Legion is the UK's leading Service charity and has been helping Service men and women for 90 years. They provide practical care, advice and support to serving members of the Armed Forces, veterans of all ages and their families. Welfare is the key to The Royal British Legions’ role and core to their beliefs. They work with all political parties, working tirelessly to improve the lives of all Service people; past, present and future. The Royal British Legion has a large comradeship base with over 300,000 members pledging their support to the work that The Legion does. The Young Professional Branch is a new branch that hopes to engage with a younger demographic and educate them on how their membership can help our Armed Forces. The Royal British Legion upholds the memory of all those who have given their lives for freedom through Remembrance education and events. The annual Poppy Appeal is organised by The Royal British Legion to remember those that have died in the ultimate sacrifice but also to raise money for those that need their help and support today. The Royal British Legion spends over £100 million each year in carrying out its role and its duties. Events like The Poppy Rocks Ball are a small cog in helping this giant wheel. 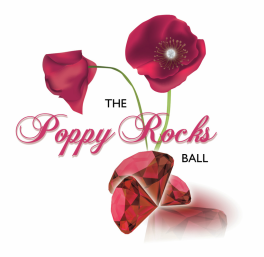 Please show your support of The Poppy Rocks Ball and make each year more successful than the last!